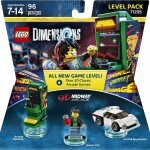 Midway Retro Gamer Level Pack & 3 Fun Packs Launch Today For LEGO Dimensions! Wave 4, which includes four packs total, launches today in North America. Personally, this is the wave I have been the most excited to receive. Here is the debut trailer for the Midway Retro Gamer Level Pack as well as the official press release and images. 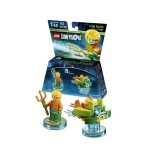 Warner Bros. Interactive Entertainment announced today the release of the new LEGO® Dimensions™Midway Arcade™ Level Pack and highly collectable DC Comics™ Superman, DC Comics Aquaman and Ghostbusters™ Stay Puft Fun Packs. Players can customise their building and gaming adventures in LEGODimensions with the purchase of these Wave 4 expansion packs which provide additional gameplay, buildable characters, and rebuildable 3-in-1 vehicles and gadgets with special in-game abilities. All expansion packs provide gamers the opportunity to use everything interchangeably, anywhere throughout the game, for a crazy mash-up multiverse. 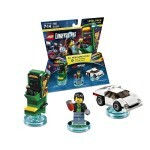 The Midway Arcade Level Pack comes with a buildable Gamer Kid minifigure and G-6155 Spy Hunter vehicle and Arcade Machine – all playable in the game, and unlocks more than 20 classic arcade games from Midway Arcade as an exclusive level. These classic games include Seven Twenty, Badlands, Blasteroids, Championship Sprint, Defender, Defender II, Gauntlet, Gauntlet II, KLAX, Joust, Joust 2, Marble Madness, Paperboy, Rampage, Road Blasters, Robron, Spyhunter, SuperSprint, Timber, Toobin, Cyberball, Vindicators and Xybots. To get started, players attach Gamer Kid to his LEGO Toy Tag and place him on the LEGO Toy Pad to bring him to life in the game, where he can help them put rogueMidway Arcade characters back where they belong. Players can activate Gamer Kid’s Stealth, Laser, Speed, Invulnerability, and Super Strength abilities to solve puzzles and battle enemies. When things get dangerous, players can boost their gameplay with the G-6155 Spy Hunter which can be rebuilt into The Interdiver and Aerial Spyhunter, or the Arcade Machine which rebuilds into the 8-Bit Shooter and The Pixilator Pod for upgraded in-game abilities. Gamer Kid also unlocks theMidway Arcade Adventure World to provide players with additional open-world gameplay. 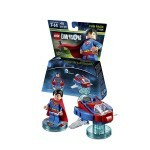 The DC Comics Superman Fun Pack includes a buildable Superman minifigure and Hover Pod. 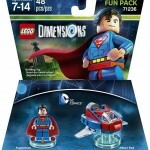 Players can bring the Man of Steel to life in the game and activate his Flying, Dive, Invulnerability, Laser Deflector, Freeze Breath, X-Ray Vision, and Super Strength abilities to solve puzzles and overpower enemies. The Hover Pod will boost gameplay, and can be rebuilt into a Krypton Striker and Super Stealth Pod for upgraded in-game abilities. 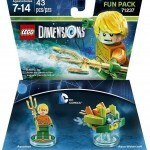 The DC Comics Aquaman Fun Pack features a buildable Aquaman minifigure and Aqua Watercraft. Players can dive into gameplay as the King of the Seven Seas and activate his special Dive, Growth, Atlantis and Hazard Cleaner abilities to solve puzzles and take down rivals. The Aqua Watercraft comes in handy for swift getaways, and can be rebuilt into a Seven Seas Speeder and Trident of Fire for upgraded powers in the game. 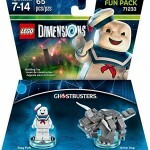 The Ghostbusters Stay Puft Fun Pack comes with the first-ever buildable Stay Puft minifigure and Terror Dog. 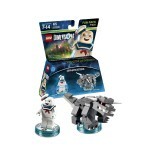 Players can become everyone’s favourite marshmallow man and activate his Hazard Protection, Big Transform and Super Strength abilities to solve puzzles and battle enemies. The Terror Dog can be called in as back-up and rebuilt as the Terror Dog Destroyer and Soaring Terror Dog for upgraded powers in the game. The pack also allows access to the Ghostbusters Adventure World where gamers can play as any one of the four Ghostbusters characters. REPORT: Harry Potter And Other Franchises Leaked For LEGO Dimensions “2”?